A contentious debate has been brewing in the United States over the last few years: should a person be allowed to publish files on the internet for 3d printable firearms and should people be allowed to 3d print those files whenever they want. First and Second Amendment advocates — led by a man named Cody Wilson — have argued yes and the Federal government has so far disagreed with them. The Justice Department has argued that under Federal arms export control laws, publishing a file on the internet for a 3d printable firearm allows foreign actors to access American weaponry — which is illegal without proper sign off from Washington. Just this week however, the a case thousands of miles away showed that the issue of 3d printable firearms is a global one. The Australian government convicted a man named Kyle Wirth of trying to 3d print a firearm, which they said poses a serious public safety threat, giving him a 6 month suspended sentence. Wirth’s defense argued that there was no criminal intent with regard to the 3d printed firearm and it was uncertain the gun could even fire a round, but Judge Katherine McGuinness stated that the mere fact that a firearm was 3d printed poses a danger to the public, one that could result in “inadvertent” harm. 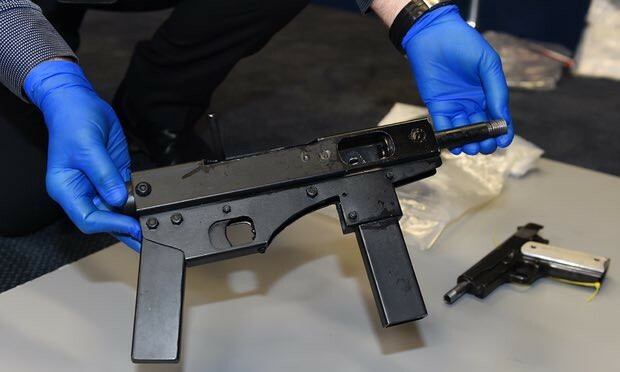 The Australians have had their fair share of encounters with 3d printed guns before, including a raid in 2016 that uncovered multiple 3d printed automatic weapons. Here in the States, Mr. Wilson and others are arguing that their rights to publish 3d printable files for guns and print those files is protected under the First Amendment, as they consider their 3d content to be governed under free speech laws. Until policy makers catch up to this new technology, the debate will continue. For now however, the US and Australian governments seem to be airing on the side of caution. “In the wrong hands they present as a significant threat to the public,” Australian Police Superintendent Jon Wacker said. The 3D Printed Gun Saga Moves to Australia was originally published in 3dprintingtech on Medium, where people are continuing the conversation by highlighting and responding to this story.